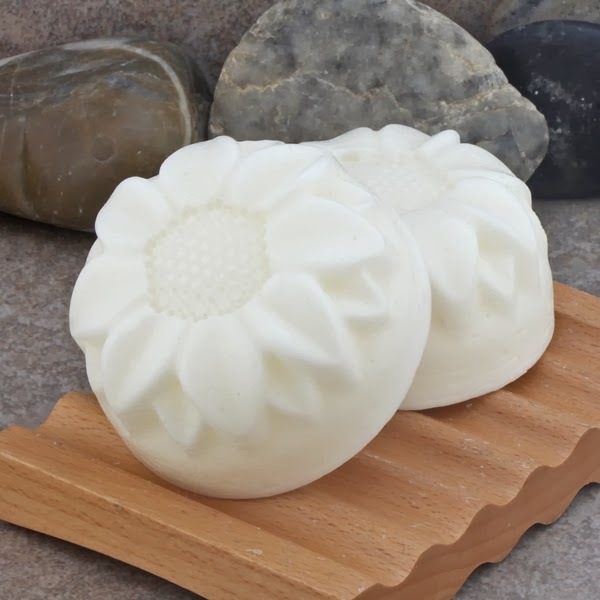 Alaiyna B. Bath and Body: What's So Great About Solid Hair Conditioner Bars????? 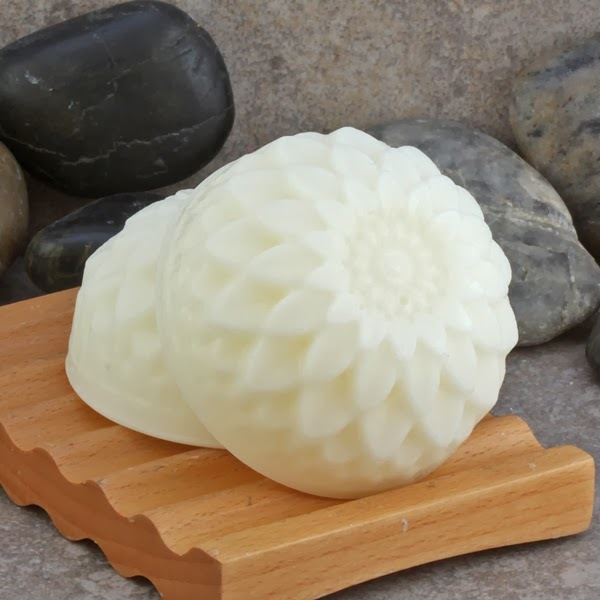 What's So Great About Solid Hair Conditioner Bars????? - No waste. Liquid hair conditioners are mostly water (60% - 80% based on formulation) which is what gives them their liquid consistency. The thicker the product, the less water in it, the thinner, the more water in it. Solid hair conditioner bars have no water - just all the good conditioning and nourishing ingredients. You use the water from your shower to help distribute the product. 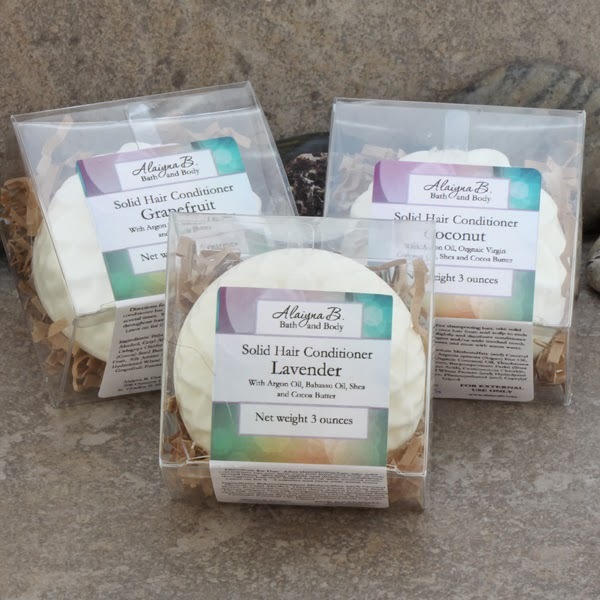 One 3.8 ounce conditioner bar is equivalent to about 16 ounces liquid conditioner. - Easy to travel with. Small and compact. - Easy to use - just glide the bar over your very wet hair starting at about in inch from the scalp. Use your fingers and/or a wide tooth comb to distribute the product. Leave on for 0 - 5 minutes, then rinse with warm water. - Limited product packaging - no big plastic bottles. - No liquid mess, no leaking, no spillage. Some people have a difficult time transitioning from a liquid to a solid hair conditioning product. It does take some adjustment, but the benefits are truly worth it. I create my solid hair conditioners with the finest conditioning ingredients, nourishing oils and butters (argan oil, babassu oil, extra virgin coconut oil, shea butter, cocoa butter, mango butter and cupuacu butter) and additives (silk protein, wheat protein, panthenol, silicones) each offering different benefits to the hair. They also contain ingredients to detangle the hair, improve wet combing and reduce static electricity. All on a compact little flower shaped bar which fits so nicely in the palm of your hand. They are offered in a variety of formulations and scents using both fragrances and essential oils. If you have not had a chance to try a solid hair conditioner, you are missing out.